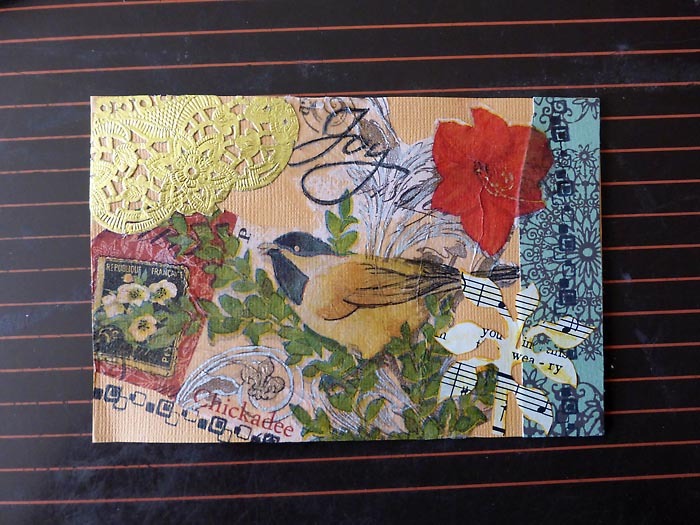 Here are some lovely postcrossing cards that have come in recently. 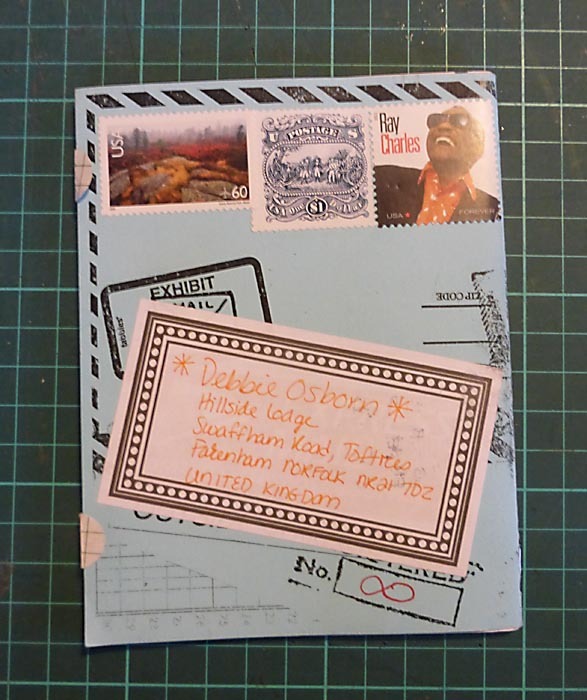 Here’s another mail swap with Antoni in Spain. I sent him this lovely reflection of St Peter Mancroft Church in Norwich. and I sent him a picture of one of my local beaches, the first what it looks like in winter and then the same beach in summer! I do love exchanging mail! 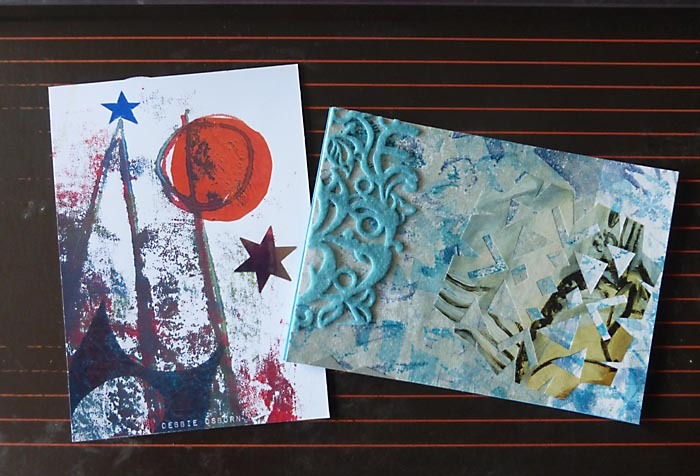 Here’s a few pieces of mail art I sent out recently. More lovely mail coming into my mail box. 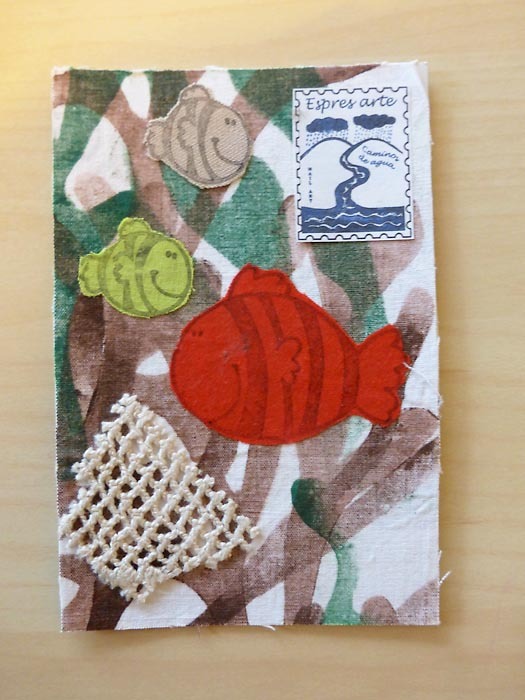 This is a beautiful fishy card by Antonia in Spain. 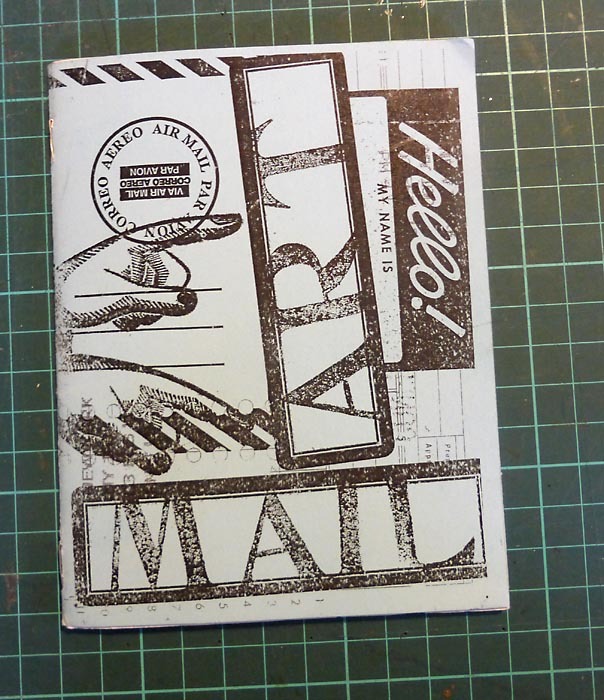 Ooooh, and I was sent a zine about making mail art, it’s from Cathy, who lives in the USA. 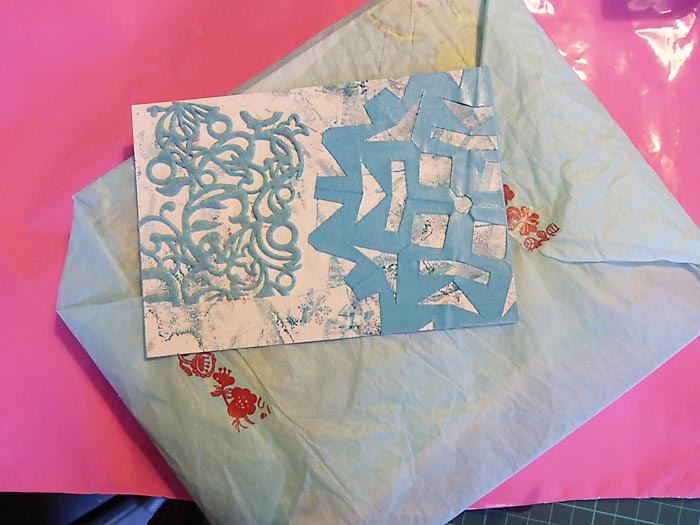 I still haven’t finished showing you the plethora of Christmas mail that came to and went from Mailmaker. Here are the rest of the greetings I sent out. 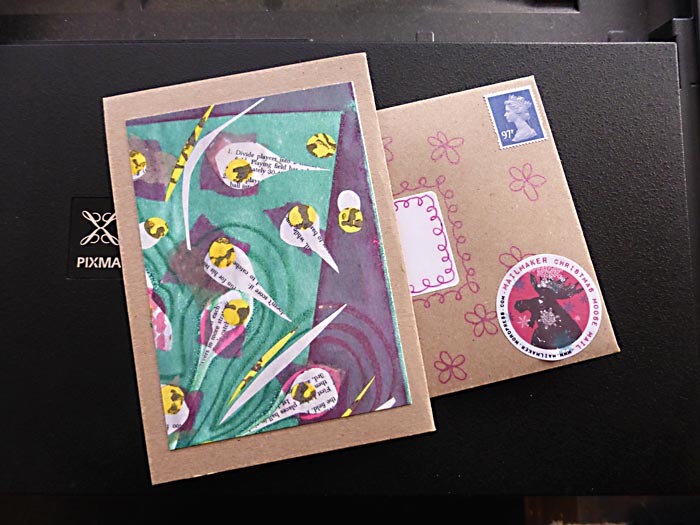 These were sent out to Elfie in Germany and Melva in Spain. 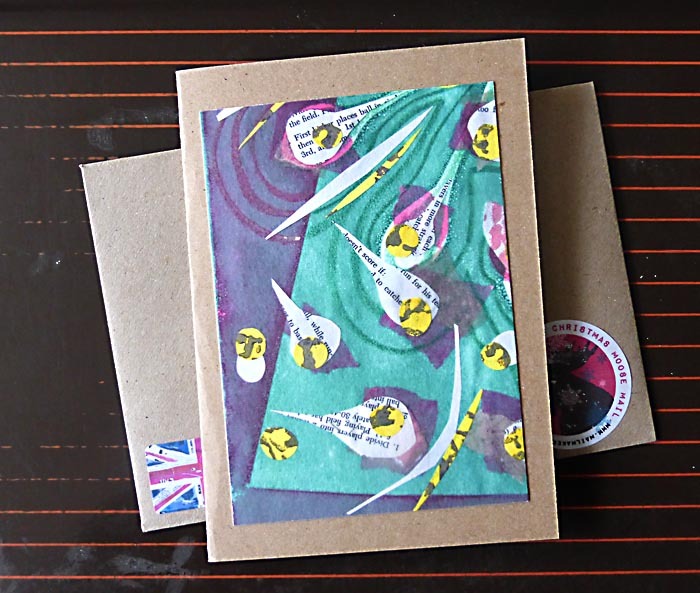 These were Christmas greetings to Stephanie in Canada and Suzanne in the Netherlands.